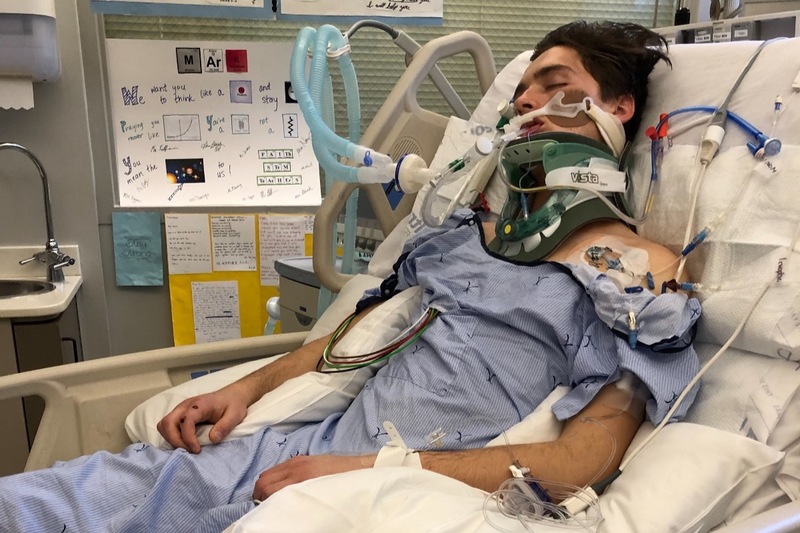 Yesterday, January 27, 2019, my young friend Mark Wilbourne, 18 years old and a high school senior, was training for a triathlon when he lost control of his bicycle and crashed into a parked car. By the grace of God, Mark survived but he suffered a terrible neck injury. Mark broke his neck at the C6 vertebrae and after emergency surgery this morning, the prognosis is paralysis below the chest. Mark is a brilliant, caring and talented young man who now must learn to overcome what will be his greatest challenge. His parents are my best friends. They too are now faced with a life altering situation that requires our help and hopefully your generosity. 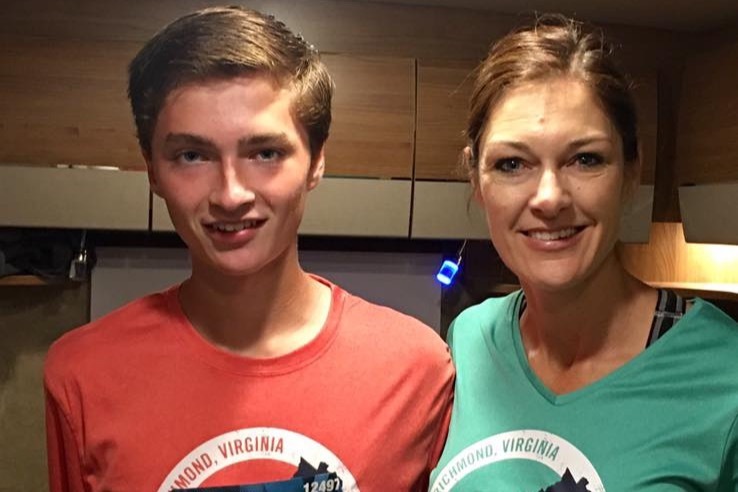 This GoFundMe account would provide them the necessary money to rebuild their home to be wheelchair accessible for their son. Long term care, occupational therapy, and potentially follow-on medical procedures. This is a real tragedy that we can help mitigate. We can help this family in their greatest time of need by giving just a little so they can heal their son and their family. I'd ask you say a prayer for them to give them strength and courage to persevere...and if you can, I'd ask you consider a donation to a wonderful family who needs our help. I will provide updates on Mark's progress as we know more information. Happy Easter everyone. Last night was a special phone call for me because I finally talked to Mark. I haven’t spoken to him since we were on a family vacation together a few weeks before his accident. His voice sounded strong and full of energy. We talked about his outpatient therapy sessions and how he’s really enjoying his independence. Just to clarify, Mark is still in Denver, near Craig hospital. 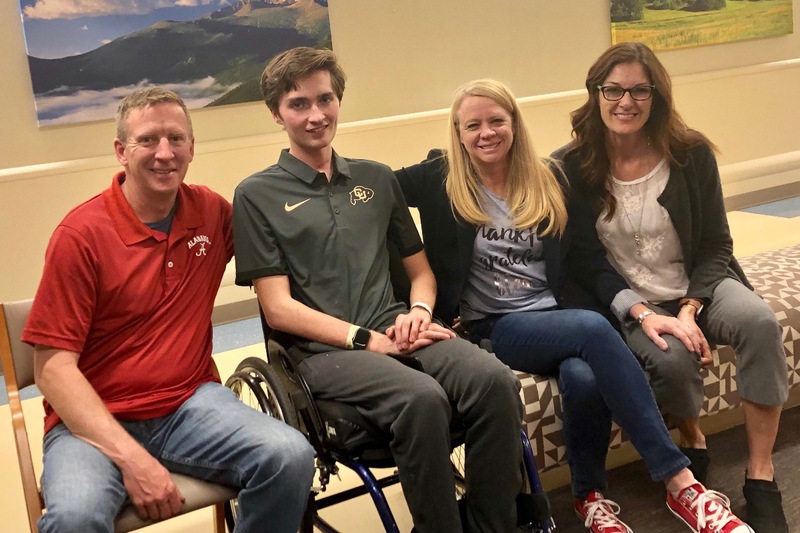 He was released from inpatient status to a short outpatient period where he still comes back to Craig for a daily round of therapy sessions (Physical and Occupational) but those only last about 3 hours total. He then can use some of the facilities as he desires, all self-paced. The rest of the day is up to him and the family. No nurses or doctors tell him what to do and he’s adapting quickly. 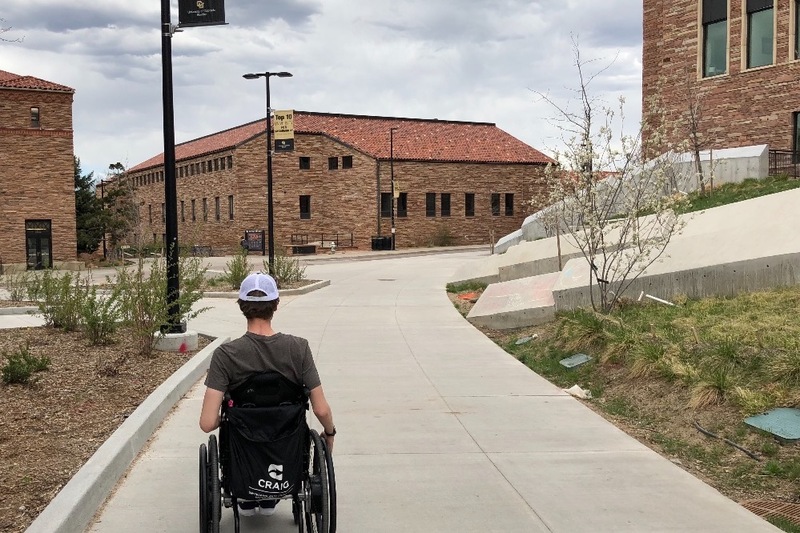 This weekend the whole crew went up to fantastic Boulder, Colorado to finally show JB the campus at CU. Mark spent the day roving around the campus and checking out the sights. He is ready to be a Buff! If all goes as planned, we should still have him back in Vegas in May, just in time to graduate high school on May 28th. 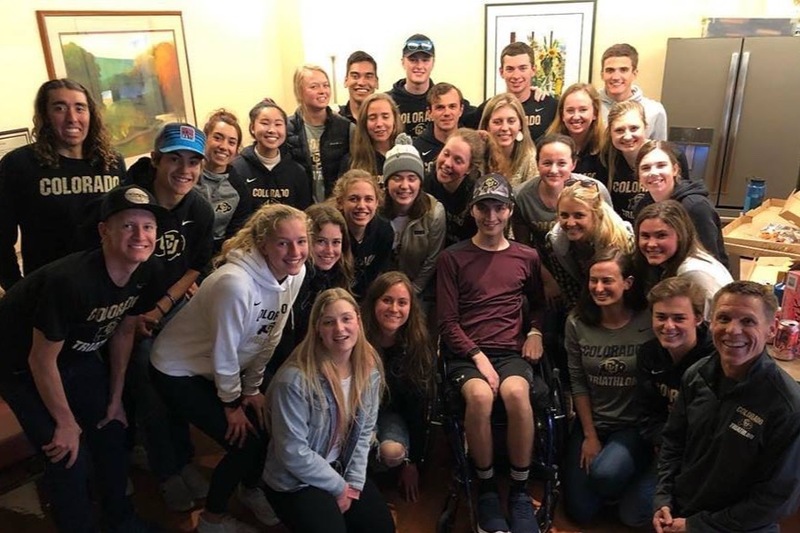 Spring Break was in full swing at Mark’s high school back in Nevada, but that didn’t stop several teachers and students from making their way to Denver to visit Mark. What a treat. Thanks to all of the #FLHS faculty and students for visiting. Here’s a couple of new pictures from the weekend. I hope everyone enjoys this special day. Unless you’re a night owl like me, chances are you’re reading this update on Wednesday morning. It’s April 17th. A fairly normal day in history…two days after our federal taxes were due…it’s also Sean Bean’s birthday (Eddard “Ned” Stark from Game of Thrones). For all of us on #TeamMark…it’s his release day from Craig Hospital. Discharge. Independence. The first full day since January 27th, where he’ll go home and sleep there without the constant overwatch of physicians and nurses. Words can’t explain how far we’ve come since the accident so I’ll share two pictures with you. The first is a picture JB took when Mark was but days into this ordeal. He’s in pain. Drugged, generally unconscious. A patient trapped in a web of wires and tubes. We all lived hour-to-hour as full-time residents in the UMC Trauma waiting room. We all watched Mark battle pain, fever, and simply breathing on his own. It was hard…the understatement of the year right there. Look at that picture for minute. The second picture is from today (Tuesday). 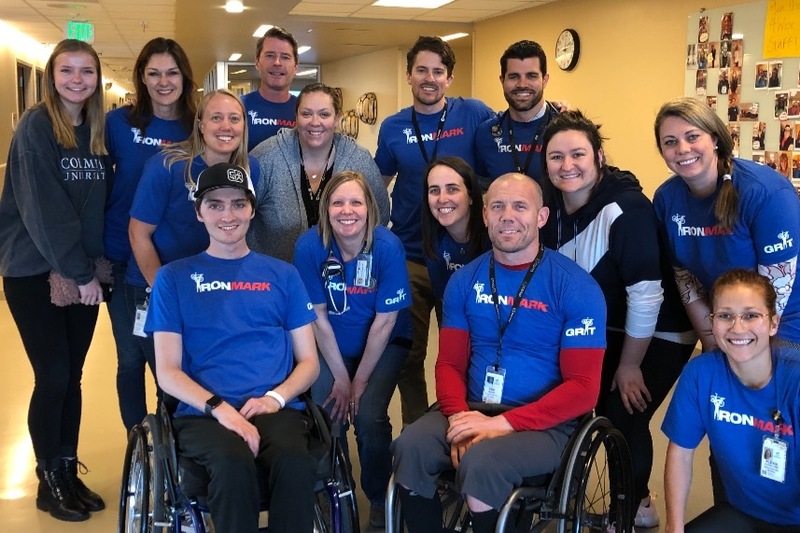 It’s Craig Hospital “wear your #IronMark shirt to work day.” Look at Mark’s smile. He’s surrounded by a gracious and proud staff of professionals who helped Mark graduate. Through their direction and assurance, Mark found strength and support. He then took it to the next level. Compare those two pictures, would you? It’s been 78 days. Now a question…do you need more proof that prayers work? I also wanted to share another simple picture. I think this image summarizes the level of impact you’ve all had on Mark. The CU triathlon team practices 6 days every week. They take a single day off to rest on Fridays. 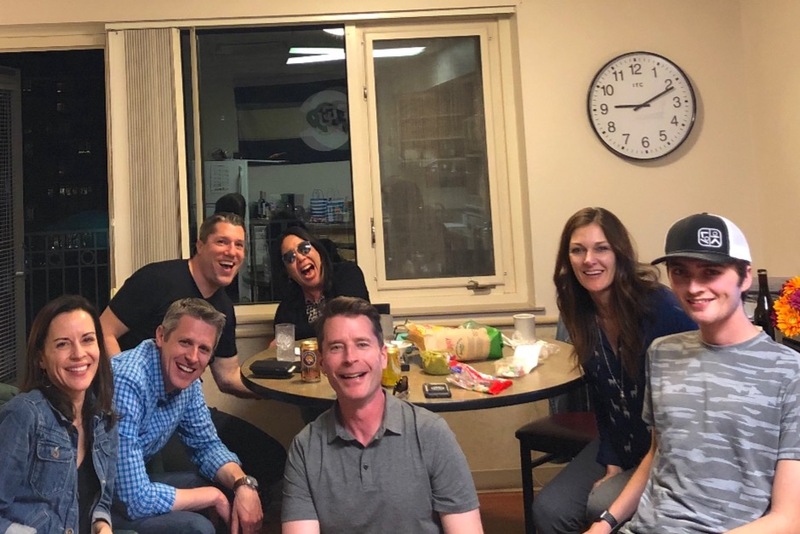 This past Friday, on their one and only day off, the team visited Mark in the hospital. They heard about our future Buff and his passion for sports. They brought the whole crew, plus two sets of new uniforms, and welcomed Mark to the team. Like great college students, they also brought an entire day’s worth of pizza. Rico’s Pizzeria donated all of it for Mark without ever meeting him ( https://ricos-pizzeria.com). What an amazing visit…generosity, camaraderie, brotherhood…all embodied in a few hours at Craig. So…it’s late for me and all of us Pacific Time Zone’rs. I’ll wrap it up for tonight. Mark’s discharge team met today and reported that he’s all set for an April 17th release to outpatient status. 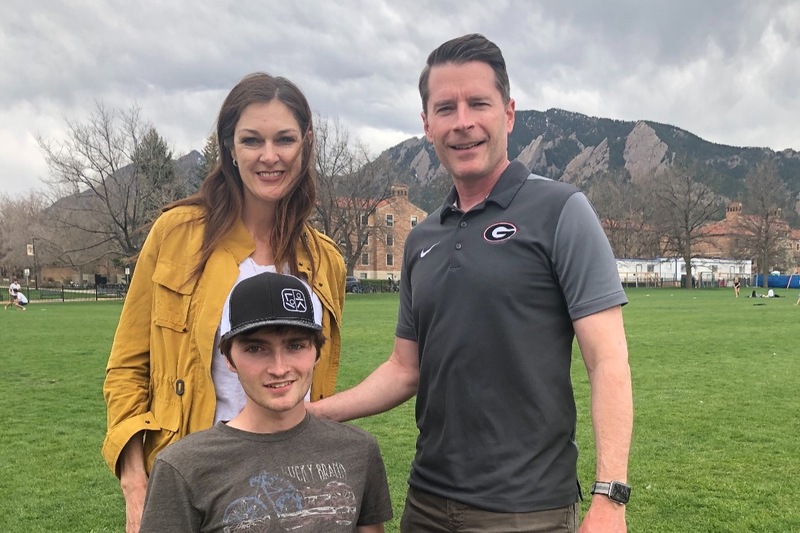 He’s met or exceeded most of the thresholds for inpatient treatment and with only a few more tasks to go, he’s ready to move to the next level. Well done buddy. Once he transitions to outpatient status, he’ll have about 3-4 weeks more of work to accomplish before we see him in Vegas around mid-May. Just in time for high school graduation. Hooray! 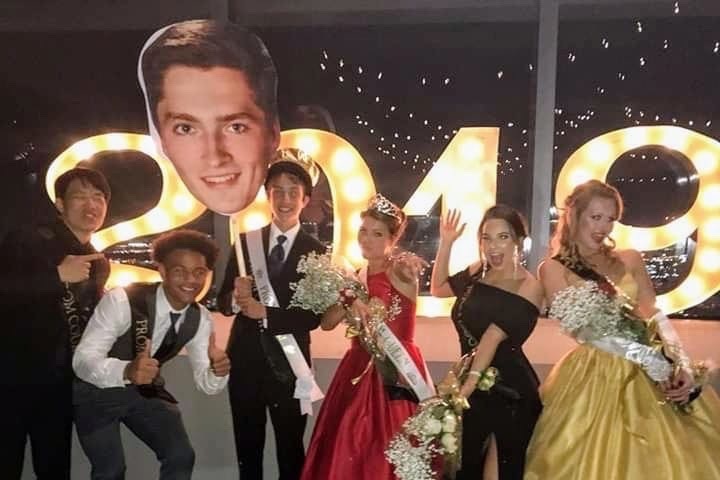 In spite of the governmental misunderstanding that we last covered, Mark was in fact elected King of the Prom. I’m not entirely sure this is a valid ascension to the throne, but we’ll take it. Mark’s story is compelling for the students at Faith and his incredible record of academic and athletic achievements are unparalleled. To be honest though, I think this really speaks to the caliber of the student body at Faith Lutheran High School. To the faculty and students of #FLHS, well done! 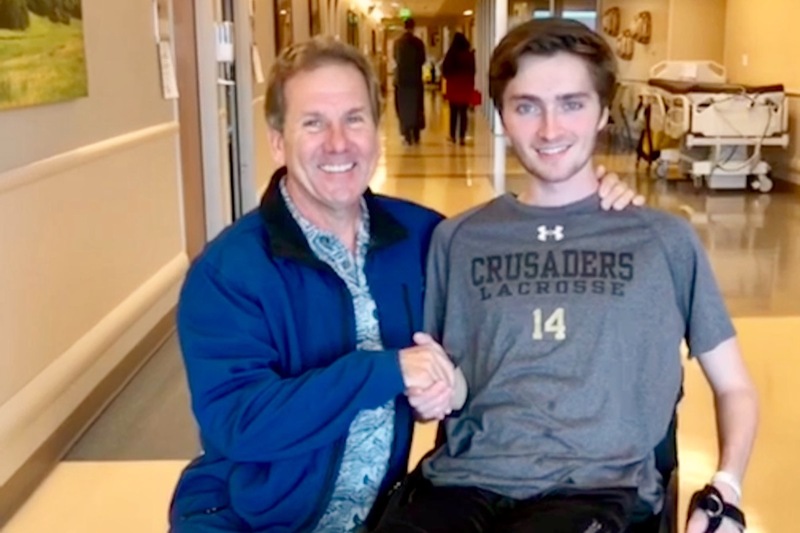 This was an incredibly cool act of compassion and solidarity with your fellow Crusader. You continue to make us all proud. Visitors continue to come from far and wide. Thanks to Emmit and Judy Smith who traveled from NW Florida to visit. It sounds like several Faith teachers are inbound, braving the second “bomb cyclone” snow event in Denver. 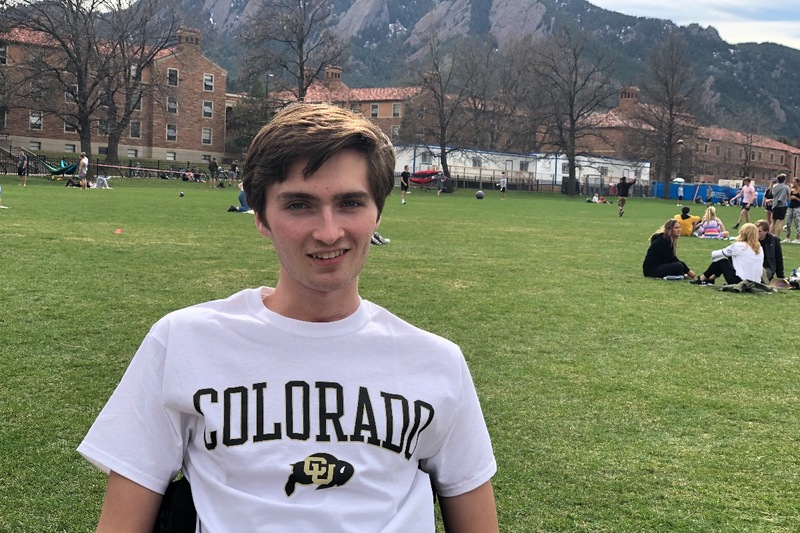 That’s right folks, you heard it here last week, Mark committed to the CU Buffaloes (finally…like, it’s faster to get to the moon and back than it was to commit to the school). Congrats to Mark for picking a great school and good luck in the Engineering department! Go Buffs! (And…if I can brag for a minute…you also heard it here that Duke was flawed for not picking our champ and guess what --- #BracketBuster). Great school, beautiful campus, and really open and warm faculty through this whole period. Been a strong few days since we last chatted. Lots of good news recently. First, Mark looks to be set for “in patient” release around April 17th. Upon discharge from Craig, he should move next door to some apartments for three weeks of purely independent living and out-patient follow on work. Visitors are still welcomed, but Mark will be flying solo. No nurses, no help…YOYO! (You’re On Your Own). Exciting for sure. Mark has been spending a good amount of time in his standing frame. In the picture, Mark is beaming while he’s working on stability, internal organ strengthening, blood pressure regulation and more. This standing frame also has a desk which will be one of his configurations at Boulder. Prior to the last few days, Mark’s blood pressure would tumble as he worked in the frame so his time was limited. Like all challenges to date, Mark got that under control and he’s doing great. He also got another great visit from “Mark by the roadside.” Catching up, faith and fellowship, and a just a great little visit was good medicine for #IronMark. Thanks again “Mark by the roadside!” Here's a picture of the two Marks. Drivers be warned, driving school has begun. While Mark is only in academics right now, he’s getting behind the wheel soon. This will probably be some of the last training we do at Craig. We’ve been checking out adapted trucks for Mark since he’ll need a 4x4 in Colorado. 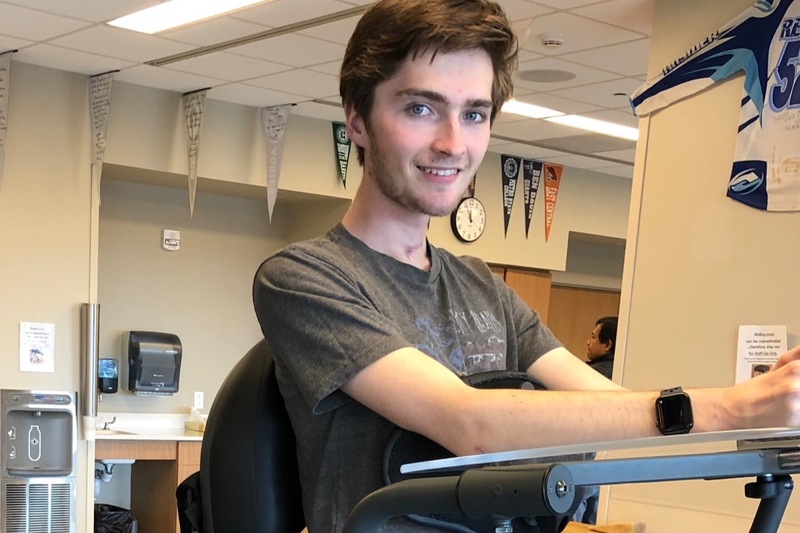 Coupled with the necessary modifications for Mark’s chair and his current status, I can testify that this little GoFundMe experiment is going to help significantly. Thanks again to all who donated and continue to donate. What’s more amazing is the recent news that Mark was selected as one of the Top Ten Student Athletes of Southern Nevada. This was not an arbitrary or nice-to-have nomination, this was the result of Mark’s incredible work prior to the accident in January. What an accomplishment buddy. You should be incredibly proud that you achieved the goal you set out for in the first place. Hats off to his classmate Clara Heislen, also from Faith, who won the honor as well. Big update for the team and we’ll keep it going. I talked with JB for a while tonight and I’m anxious to get them home. I know you are too!